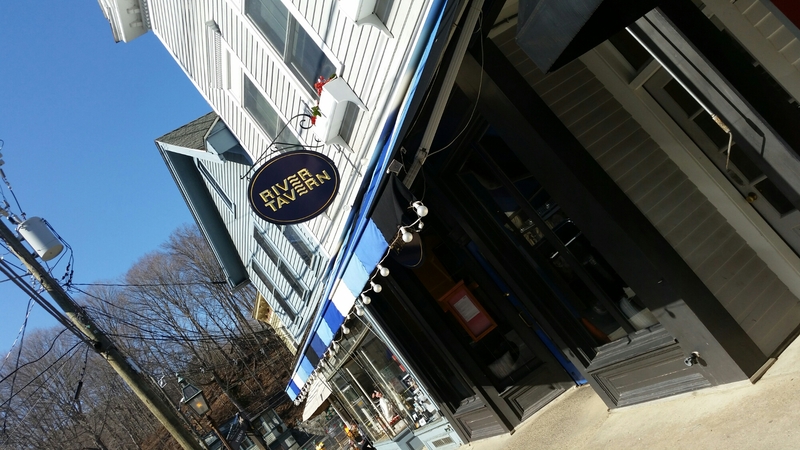 A friend of mine convinced me to drive two hours to Chester, CT (population < 4k) to try out River Tavern, a farm-to-table New American restaurant. I was impressed. I did not imagine such well-executed dishes from an eclectic menu could exist in the middle of nowhere. We spent a lot of time discussing where the customers of this restaurant could come from. Chester, CT is an hour away from New Haven, CT. This is a little town with only one main street and one busy block. 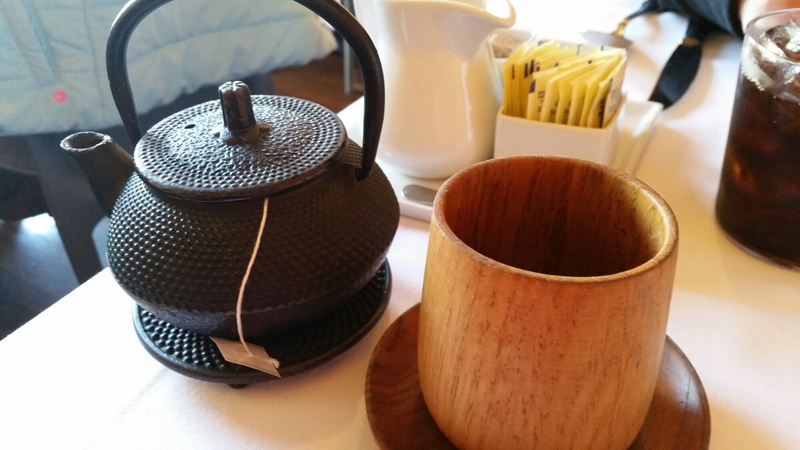 River Tavern is very particular about everything, from the tea-pot, tea cups to how much the wait staff know about the menu. They are knowledgable and extremely detail oriented. You can tell that the owner has high expectations and the staff cares deeply. 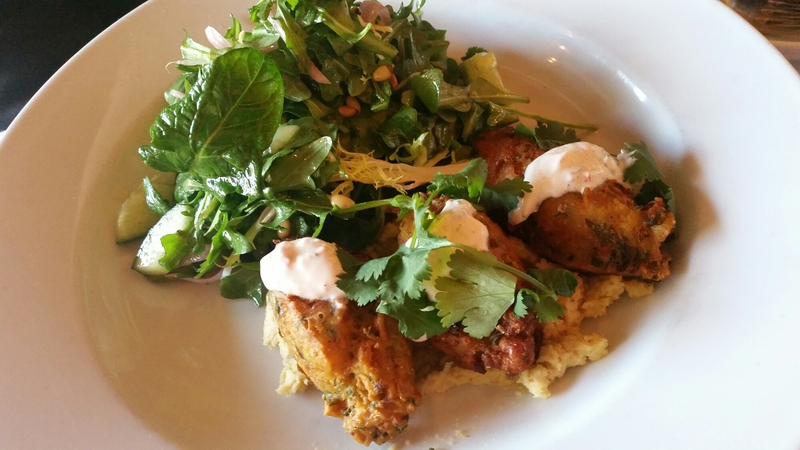 River Tavern’s menu changes daily. Thank goodness I took pictures of the menu on Feb 28th. This is the Smelts: Fried smelts with celery root remoulade, rye crisps, dill + lemon. 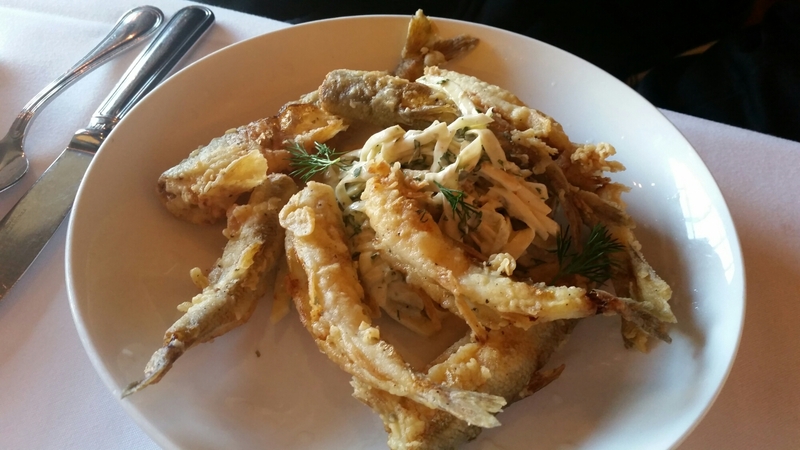 You may think fried smelts are heavy… Yes, that is possible. But you have not tried them with the dill + lemon sauce. It was excellent! P.E.I. Mussels: sautéed with merguez, garlic, chilies, oregano, tomato paste + wine. 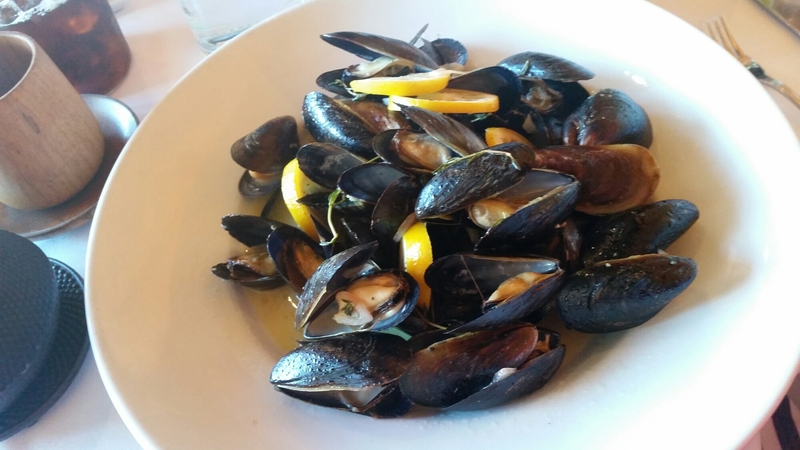 I ordered this dish because I have never seen Prince Edward Island mussels cooked with merguez before. Unfortunately, the merguez was used in the pot and not served to the customers. Even more unfortunately, I could not taste the merguez in the broth nor the mussels. Other than that, this was an excellent dish as well. 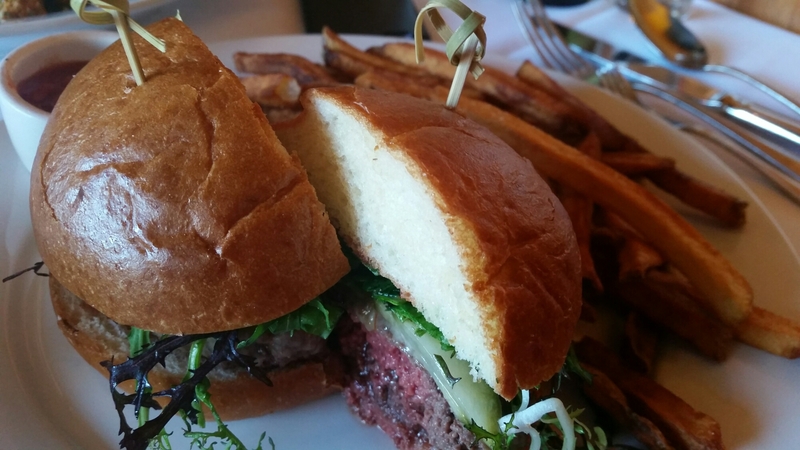 Soeltl Farm Beef Burger: cheddar cheese, homemade pickles, ketchup + green on brioche, served with french fries. Best burger ever! Cooked perfectly medium and juicy. The homemade pickles were awesome. The fresh veggies were just better on the burger than those that are a day old. Falafel: fried + served with hummus and a cucumber, lettuce, pickles onion salad, spiced yogurt sauce, pine nuts, lemon + olive oil. Decent to almost excellent. Interestingly, they also listed Pho on their menu and I was tempted to order Pho in the middle of nowhere CT. After I grilled the server again and again on how the Pho is prepared, I decided to go against it because they ran out of Hoisin sauce. I believe I made the right choice since the burger really scored! This reminds me of listening to the soccer games on the Spanish radio station… Gooooooooal. Highly recommend it. Will go back again and again.